We had an amazing experience with Theresa!! She was absolutely wonderful to work with. She was so patient as she helped us find the puppy that was the perfect match for our family, They truly love this breed and want everyone to have a healthy happy puppy. The pride in their program shows in every detail. Our local vet was extremely impressed with our puppy's health, the attention to detail, and the Loyal Siberian Husky program. We have had our puppy for about two months. We couldn't be happier!! He immediately fit right in to our family and seems as if he has always been here. We could not have asked for a better experience. We highly recommend working with this breeder. Thank you Theresa!!! 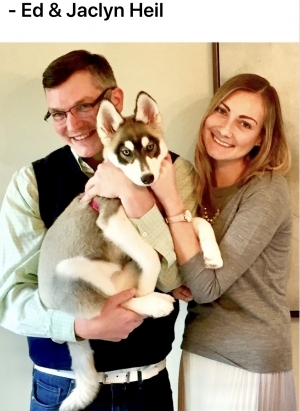 We are so pleased with our experience with Theresa and Loyal Siberian Husky!! We had to say good bye to our 17 sweet husky girl Bianca last April. Theresa was so patient and worked with us for a couple months until we felt we found the right match for our family. She even gave up a very special puppy that she was saving for herself when she felt he would be the one for us. While we were waiting for him to be old enough to come to his new forever home, she sent pictures and videos to keep us up to date. Our local vet of many,many years, was so impressed with the entire process, preparation, and health of our new puppy. Our new puppy is absolutely perfect in every way!! Thank you so much Theresa!!!!!! Theresa, I feel so lucky that you gave Carolina so much love, I can tell that she is very happy with people. You will always be her first mama. This is going to sound silly, but I tell her stories all the time and one of them is the story of how we adopted her and how you were her mama until we came alone. She listens and bites and licks me ! Lol Thank you again, she is very special and so are you ! We have really enjoyed our new puppy from Loyal Siberian Husky, Took to vet and he said the breeder, I got this puppy from was on top of everything very responsible breeder, Very quick response to every phone call or text before and after getting our puppy. We could not be any happier with this puppy and the breeder, I recommend anybody that's looking for a happy, healthy and loving Siberian Husky puppy give them a call and they will help you in any kind of way. 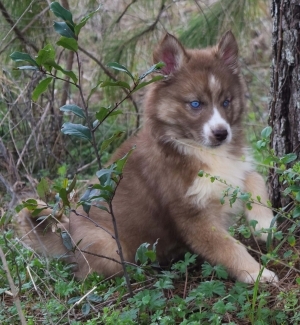 I had been in search for a Siberian Husky puppy for some time and contacted Loyal Siberian Husky and talked with Theresa and as we talked over the phone, I knew after our long talk about her huskies she was the perfect husky breeder for me. Thank you so much for allowing us to come out to your place, to pick up our husky puppy. I was one happy lady when my baby gave me her first kiss and put those paws around my neck, I knew that she was the one for me and looked at me with those adoring blue eyes. She is just perfect in all ways ! Just as the breeder Theresa described her to be ! Thank you so so much Loyal Siberian Husky for our girl ! 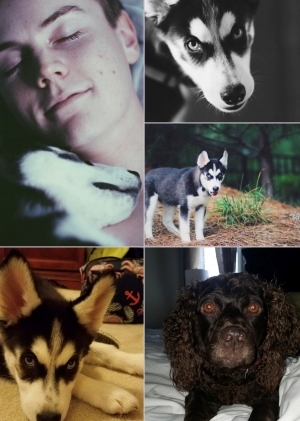 Loyal Siberian Husky was founded in 1996 in Hamer, SC. Since then, they have been selling and breeding Siberian Huskies. The company is well-known in the whole United States for offering the best puppies to the clients. Hamer SC, United States - February 9, 2016 /MarketersMedia/ � Getting a perfect puppy isn�t very easy as it sounds. After all, there are a lot of "sellers� that doesn�t offer what they claim. On the other side, there are some places that offer exactly what they claim. The Siberian Husky is a beautiful dog. Intelligent and loyal. However, this applies only to dogs that are bred to be the best. 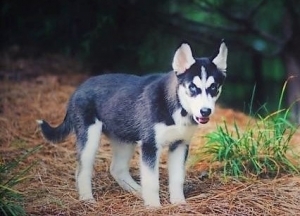 Hamer SC: Today, Loyal Siberian Husky is rated as the safest place to buy a Siberian Husky puppy. The analysis of the market revealed that there are a lot of sellers who don�t offer what they said. In the United States, this analysis revealed even some disturbing facts that shocked the public. 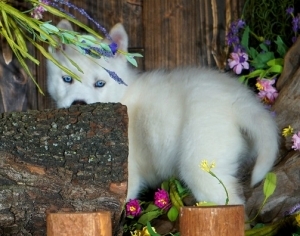 On the other side, they found that the best place to get a puppy of the Siberian Husky is Loyal Siberian Husky! This company is well known in South Carolina. However, the company sells puppies to customers from the whole planet. The aforementioned analysis included the parents of those puppies, their training and the health of them. There were some cases where sellers tried to sell sick puppies! However, Loyal Siberian Husky passed the entire test and since today, the company is treated as the safest place to get a puppy of Siberian Husky. According to the report, the company sells only the best and healthiest puppies and customers can see who their parents are. Loyal Siberian Husky is well-known in the local community. According to the testimonials, they have made hundreds of people happy. In addition, the company offers tips and guidelines to new puppy owners, which makes training easier. Loyal Siberian Husky announced that they have several additions to their offer, but they choose not to reveal them at this moment. "This is Ed Heil from Chicago. I bought Kisha from you 2 months ago. I just wanted to give you a quick update ... We have renamed her Stella, She is 100% healthy, has all vaccinations, and generally doing as well as possible. She plays & runs everyday. Sleeps & cuddles in bed with us at night. She has taken well to basic training. Knows all the basics: sit, down, stay, off, release, fetch, etc. Also great in her potty training as well. We wanted to not only share about her progress, but wanted to THANK YOU both of you for raising a really special puppy. She is a beauty both inside and out. Our main concern with internet puppy purchase was personality. Stella/Kisha is extremely social & well adjusted to every person & dog she meets. She iis happy, fun, playful, caring, cuddly, and smart. There's absolutely NO evil, mean, scared, abused part to her personality, which is amazing. Trust me, she will stay that way w/ us. Safe, happy, healthy, loved, and well trained. All I can say is Theresa is absolutely AMAZING! And all of the dogs are well taken care of and all loved! The whole process was easy and we were treated like family! Our puppy is doing great and she is all ways soaking up any attention she can and she is such a sweet girl along with a very sweet and loving attitude! If anyone is looking for a beautiful husky to add to your pack, I recommend Theresa 100%! Review Purchasing a husky was by far the second best desicion i ever made. Only second to my desicion to give my life to God. Please spell dog backwards and you will understand the importance of a dog to your family. Mr Rocko and i have made it through everything together and i will forever be indebted to the loyal husky breeder family. Thank you so much for such a beautiful dog and companion i needed.